Read more about a local interior designer who’s giving visitors the chance to stay in her well-designed luxury Mt. Adams homes. Campbell is a Cincinnatian and is a renowned local designer with more than 30 years experience in the design industry. She saw a need for spaces in the city that could be rented out to travelers that felt like home – not just another hotel. “She started with the use of her own personal home, which in the past few years since the birth of Red Whale, has grown to nine variants of accommodations, and the collection is growing,” explains Red Whale Rentals’ Marketing Manager. Currently, the properties owned by Red Whale Rentals are located within Mt. Adams, although Campbell is considering growing the collection into other sought-after neighborhoods in the city. Red Whale Rentals has more to offer than just a quaint place to stay in the city. The marketing manager says that what really makes Red whale Rentals stand out is the interiors and the level of service. The spaces, she says, are inviting, serene, and offer a calming, sanctuary-like feel with unique, regional design styles. “It’s almost impossible to find spaces like this in the city that evoke the same ambiance that Michele’s unique design style attains,” the marketing manager adds. There are optional amenities available for those who stay at Red Whale Rentals including grocery delivery, childcare arrangements, private chef services, in-home personal trainers, massage therapists, yoga instructors, and more for guests looking for the highest level of convenience and service. There are several local business partnerships in the works with Red Whale Rentals to help elevate the level of service and experience for the guests who stay in the homes. “We will soon be offering staycations and retreats by The Yoga Bar for ‘getaways’ without the hassle of actually getting away,” according to the marketing manager. 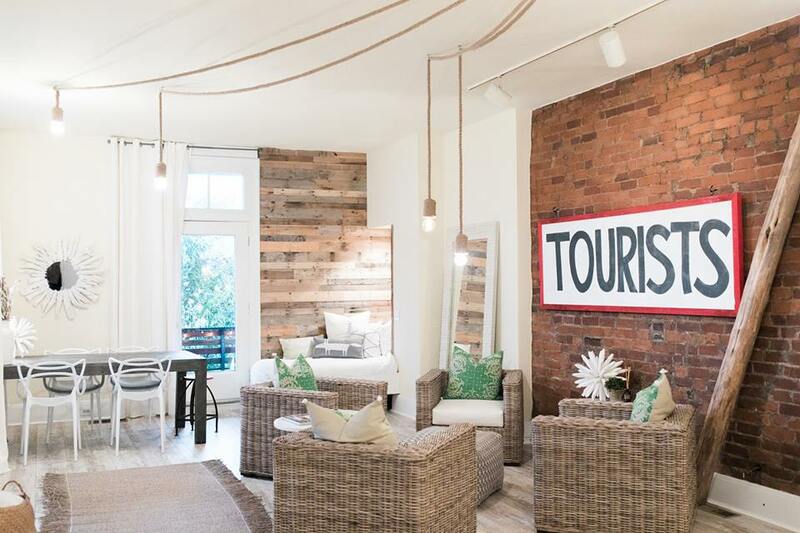 In addition to the homes it has to offer guests, Red Whale Rentals also has its first commercial, non-overnight event space called The Cottage. To learn more about Red Whale Rentals, visit redwhalerentals.com or check them out on Facebook and Instagram.